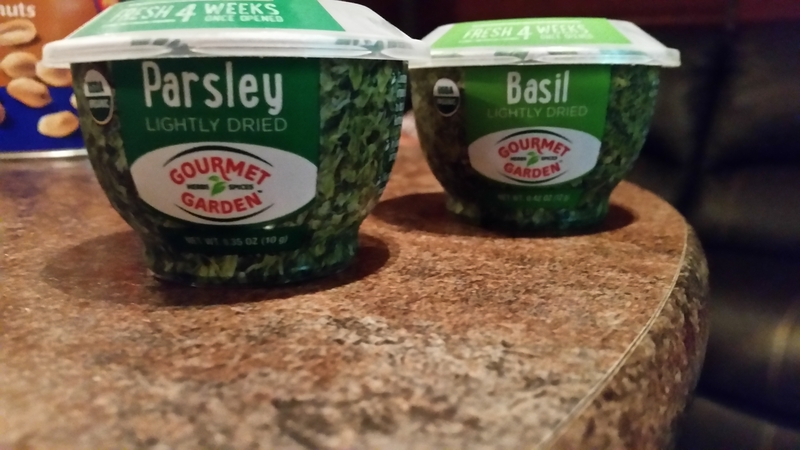 Check out this herb product I found. 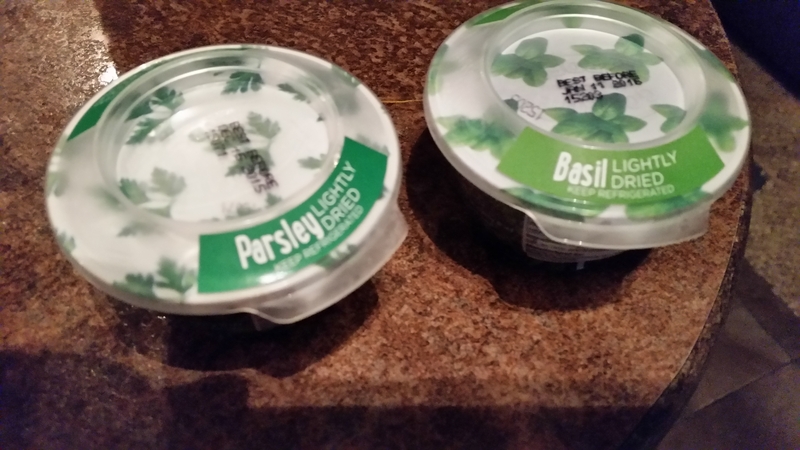 The basil and parsley are slightly dried and vacuum sealed in the stack able container. The manufacture claims they will stay fresh, if properly resealed and placed in the refrigerator for four weeks once opened. I will let you know if they last…. How did this product work out? How long did it last? These cups were ideal for when we were living in the RV. The actual herb leaves did seem to be a bit dried out; and the flavor is no where near the intensity of fresh herbs. After about 10 weeks, they had no flavor at all.